As your local Nissan dealership in Orlando, FL, we at Universal Nissan are proud to provide our customers a number of offerings, including the services of our Nissan parts department. Our parts experts know what it takes to keep you safe and keep your Nissan Altima or Nissan Rogue healthy as a whole, and any one of them would tell you that it starts with some pro-activity on the customer’s end! From headlights and windshield wipers to brake pads and engine components, every part in your Nissan car, truck, or SUV plays an important role in making sure the final product runs smoothly and safely. 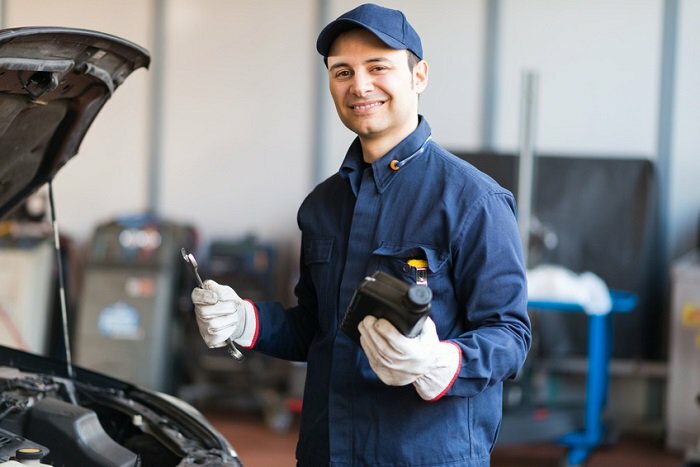 The failure of any part in your car can spell disaster for those in and around your vehicle, making routine maintenance and timely Nissan car repair of the utmost importance. No matter what your vehicle may need, we are sure to have it in stock for you here at Universal Nissan. You can browse our selection online, or come by our shop! If we don't have the part you need, we are happy to order it for you and provide installation once it arrives. Our parts specialists also stress the financial implications of ignoring the condition of your car’s parts. For instance, fixing the rattling in your suspension may cost some money, but if you ignore it, and your wheel falls off, your final bill will be a lot higher. Also, if you are thinking of reselling or trading in your Nissan vehicle, the condition of your parts is a major factor in how much you will get for your car, and how much you are able to save on your next one. We love to serve our customers in any way we can, but we are especially happy when we get to keep our customers safe and sound on the road. We are always happy to answer your questions, so if you aren’t sure when you should be scheduling maintenance or changing a particular part, give us a call or visit our local Orlando, FL Nissan dealership at 12785 Orange Blossom Trail.